The antisemitism so obviously inherent in the UK’s Labour Party continues, this time embodied by a call to suspend arms sales to the Jewish State. It happened on January 24, when Labour Party Shadown Foreign Minister Emily Thornberry sent a letter to British Foreign Secretary Jeremy Hunt, equating Iran’s military support for Syria’s Bashar al-Assad regime with Israeli air strikes on Iranian terror group Hezbollah’s weapons convoys and military facilities in Syria. 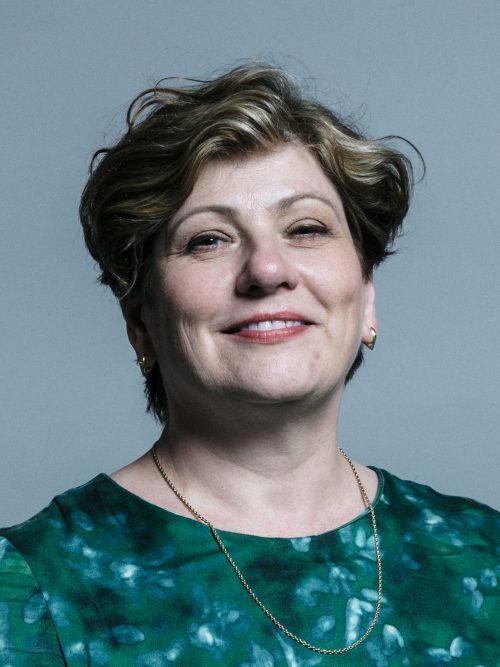 Thornberry followed up with a long list of proposed punitive actions against the Jewish State including the suspension of UK arms sales to that country along with the canceling of joint exercises between the Israeli Air Force and the Royal Air Force planned for later this year. “It would seem utterly inappropriate for the RAF to be helping to train pilots who would then be using those lessons in a war of aggression against Iran, or in breach of Iraq’s sovereignty,” said Thornberry. Is it any wonder that British Jewish leaders were furious? All this should be self-evident to decent people. The question is how Labour is getting away with such vicious expressions of Jew-hatred? Who is responsible for the continuation of this expressed antisemitic policy? Is it Labour alone, or the people of the UK, in general? And what will happen if Corbyn is appointed prime minister, a distinct possibility?